Comic artist Andrew Griffith has shared through twitter the cover art of IDW Transformers #55, the concluding issue for All Hail Optimus. 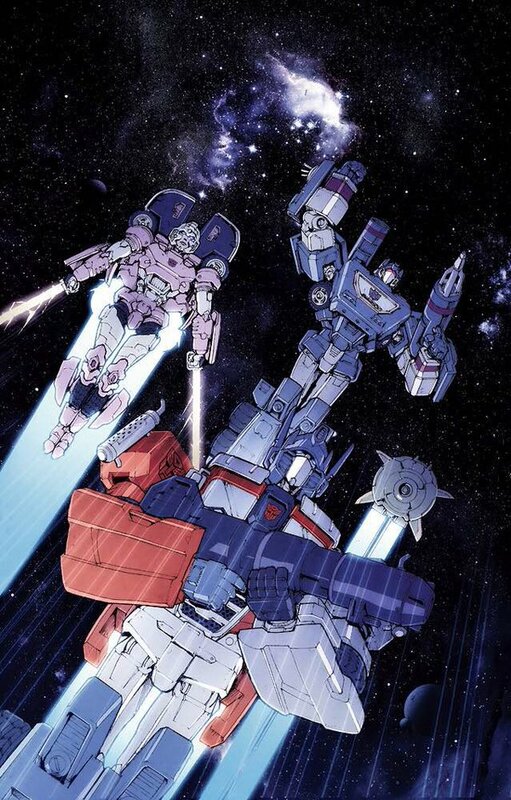 On the cover (colored by Artist Josh Burcham), it features Arcee, Cosmos, Optimus Prime, and Soundwave jetting through space in the same direction. Mr. Griffith said in his tweet that this issue “may end up having special significance for him”. What does it all mean? We will have to find out when the issue comes out in July 2016. Checkout the full cover art after the break. The post IDW Transformers #55 Cover Art by Andrew Griffith and Josh Burcham appeared first on Transformer World 2005 - TFW2005.COM. 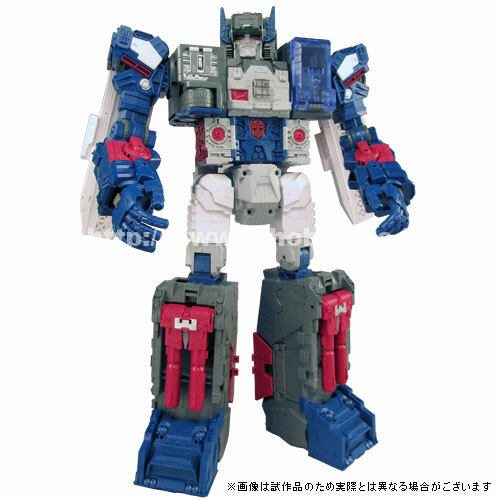 Colored Images of Takara Fortress Maximus, Weirdwolf, Wheelie, Rewind, & Blaster! Just in via Snakas/Autobase Aichi are colored images of Takara‘s upcoming Legends figures! Included here are Fortress Maximus, Weirdwolf, Wheelie, Rewind, and Blaster. These all feature significant changes from their Hasbro Titans Return counterparts – we’ll let the pics speak for themselves, and we’ve attached them to this post for your viewing pleasure after the break. Let us know which versions you plan to pick up in the discussion thread! 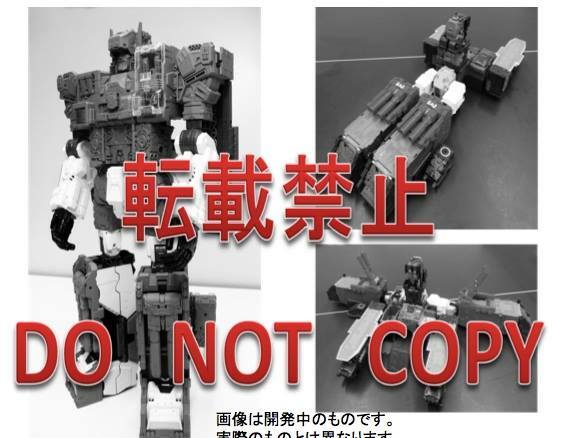 The post Colored Images of Takara Fortress Maximus, Weirdwolf, Wheelie, Rewind, & Blaster! appeared first on Transformer World 2005 - TFW2005.COM. Third-Party manufacturer KFC Toys (Keith’s Fantasy Club) have been slowly releasing images on their weibo page of their newest product, Ditka, which is their attempt at the iconic triplechanger Blitzwing. Today, we finally have prototype images of all three modes – bot, tank and plane – and boy does it look like they nailed it. This figure appears to scale with the current Masterpiece line and features a more realistic tank mode while retaining the iconic “wedge”-shaped jet mode. The figure appears to hit all of the high marks from the Generation 1 cartoon while also incorporating many aspects from the original toy from the ’80s. KFC » Continue Reading. The post Prototype Images of KFC Ditka (Masterpiece-Styled Blitzwing) in all Three Modes appeared first on Transformer World 2005 - TFW2005.COM. 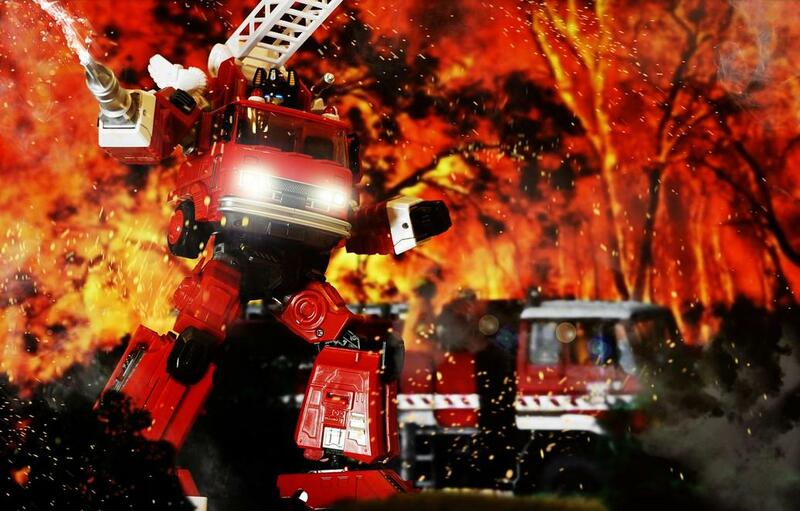 Via their Facebook page, Maketoys has posted an update on the sales of their Hellfire figure, a Masterpiece-inspired Inferno, stating that with each Hellfire figure sold through their official site, Maketoys will donate $124.99 (the full price of Hellfire) to the Red Cross foundation and their efforts to help the people of Fort McMurray, Alberta, Canada who are suffering from the massive fire and the aftermath. This figure is limited edition and will have a sticker on the packaging notifying buyers that their purchase proceeds have gone to the Red Cross. TFW2005 wishes the best for those in » Continue Reading. The post Maketoys Hellfire – Fort McMurray Donations appeared first on Transformer World 2005 - TFW2005.COM. 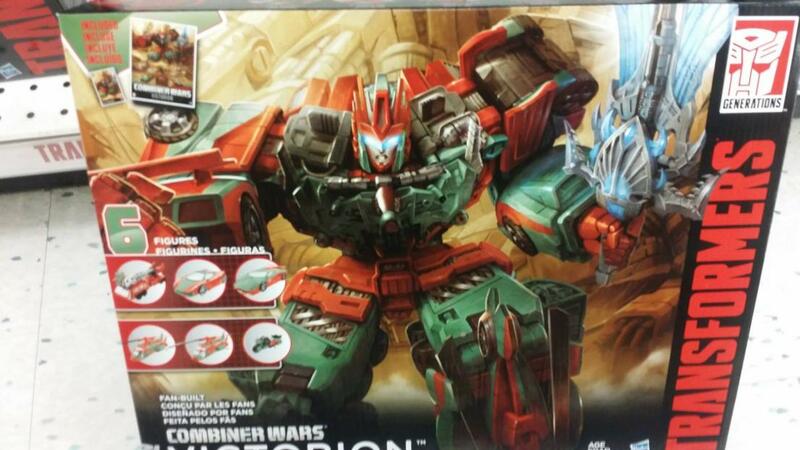 Reports are coming in from 2005 Board and Cybertron.CA board members of retail sightings for the latest Combiner Wars figure, Victorion. The fan-built box set has been spotted in Toys R Us stores in Ottawa and Toronto. However, some stores are refusing sales until Sunday, the 15th. This street date correlates to recent online rumors as well. Just a heads up if you happen to find one in your area. Check out photographic proof and join the discussion after the jump. The post Combiner Wars Victorion Box Set Found at Canadian Retail appeared first on Transformer World 2005 - TFW2005.COM. And also courtesy of iTunes we have the preview for IDW‘s Transformers #53, the 4th part of All Hail Optimus! “Transformers #53 ALL HAIL OPTIMUS part 4! It’s all-out war as OPTIMUS PRIME’s forces move on GALVATRON’s DECEPTICONS—with Earth caught in the middle! Unusual alliances have formed… and secrets will be revealed.” The full issue will be released the same day as MTMTE – May 25th! The post IDW Transformers #53 iTunes Preview appeared first on Transformer World 2005 - TFW2005.COM. Just posted by iTunes is the brief preview for Transformers: More than Meets the Eye #53 – part 4 of The Dying of the Light! “Transformers: More Than Meets the Eye #53 THE DYING OF THE LIGHT part 4! Twilight’s last gleaming! The end is nigh. No chance of escape. No last-minute reprieve. But nothing loosens the tongue like imminent death, and the crew of the Lost Light use their final hours to say what—until now—was unsayable.” We’ve attached the pages for you to check out after the break, and look out for the full issue on May 25! The post More than Meets the Eye #53 iTunes Preview appeared first on Transformer World 2005 - TFW2005.COM. Masterpiece Cheetor Confirmation & Silhouette! 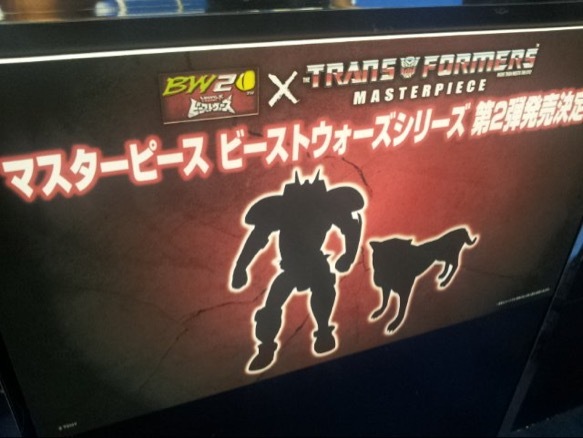 We have news from the Shizuoka Hobby Show that the previously-rumored Masterpiece Cheetor has been confirmed, and in addition, there’s even a silhouette pic to share with you all! Not a lot can be made out in this image aside from blacked-out versions of Cheetor’s robot and beast modes, but it is still nice to get visual confirmation that a second Beast Wars Masterpiece is indeed on the way. Hopefully there will be more to share soon! The post Masterpiece Cheetor Confirmation & Silhouette! appeared first on Transformer World 2005 - TFW2005.COM. Via Zap2It we have some information on the next episode of Transformers Rescue Bots. Rescue Bots Season 4 episode 10 is titled All Spark Day, and takes place on a Cybertronian holiday (hence why the name is a play on “All Saint’s Day”). Check out the full synopsis below: Transformers Rescue Bots Season 4 Episode 10 All Spark Day During a Cybertronian holiday, the Rescue Bots take on their biggest challenge yet – a super-sized, overtired baby. This all-new episode is due to air on Discovery Family on June 18th. Be sure to tune in to catch this latest » Continue Reading. The post Rescue Bots Season 4 Episode 10 All Spark Day appeared first on Transformer World 2005 - TFW2005.COM. With the May release date upon us, ToyWorld has finally released some colored test-shot images of their last two Constructicons, Burden (Long Haul) and Allocator (Hook). This is our first look at these two figures in both their individual bot and alt-modes. These figures appear intended to scale with your Masterpiece collection and feature perfect accent paint apps, highly detailed sculpts, rubber tires, translucent plastic accent pieces and a high level of articulation. They also of course come with the final parts-forming pieces that allow you to finally complete your massive 20-inch Masterpiece-styled Devastator. These last two figures are scheduled to be released from our site sponsors » Continue Reading. The post Final Product Images of ToyWorld’s Burden (Long Haul) and Allocator (Hook) appeared first on Transformer World 2005 - TFW2005.COM. Third party group, TFC Toys, has updated their weibo page with images of their first Generation 1 Seacon inspired figure, Big Bite (Aka Skalor). These images give us some beautiful shots of Bigbite in robot mode, coelacanth mode, weapon mode, arm mode and leg mode! 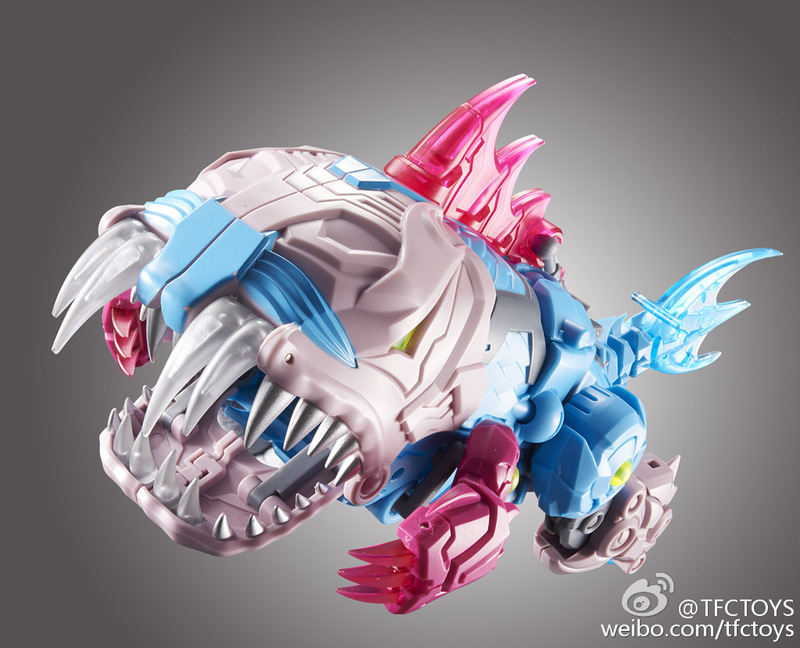 Bigbite will combine with future releases from TFC Toys to form their version of Piranacon – Poseidon. BigBite is due this quarter. Check out the new images after the break! The post TFC Toys BigBite (Skalor) Final Product Images appeared first on Transformer World 2005 - TFW2005.COM. 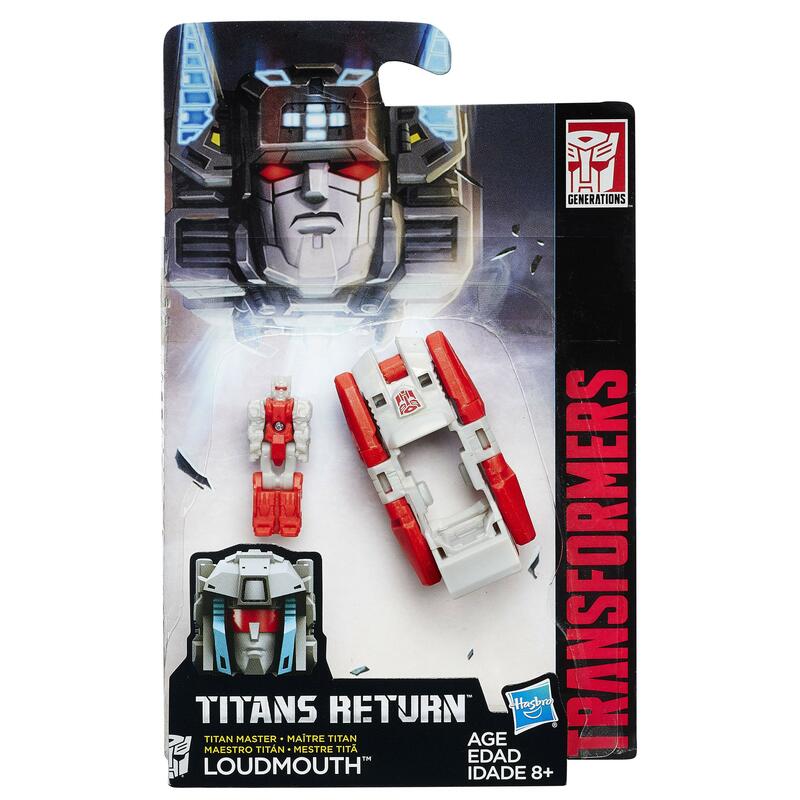 Check out some new images from the first Wave of Leader Class figures from the upcoming Titans Return line. While we’ve seen a bit of these figures before, there’s a few new images here to take a look at to help get you excited for this line even more! 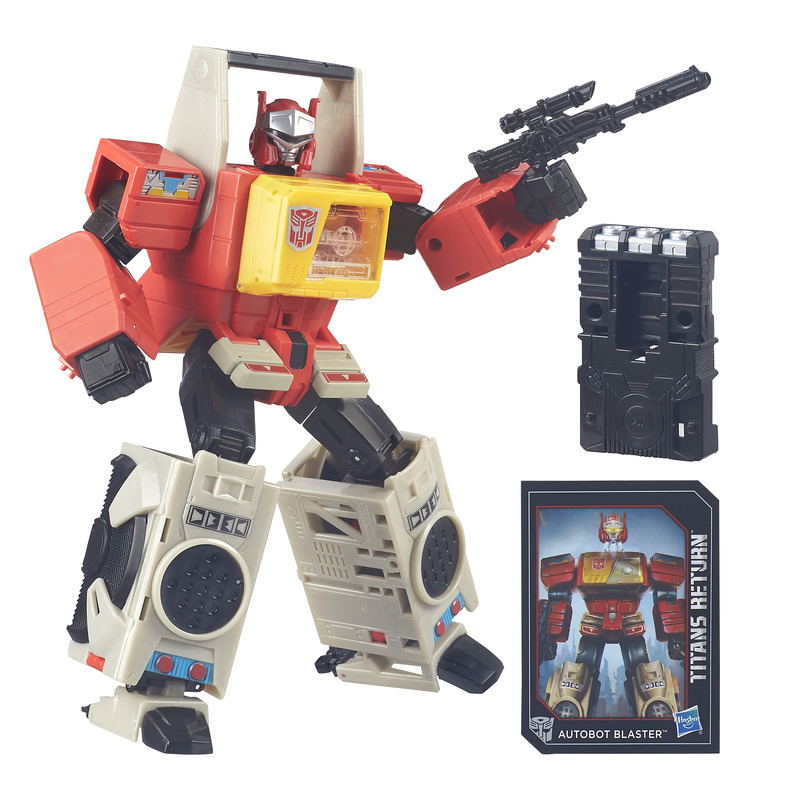 Click on the title bar to check out Blaster with Twincast and Powermaster Optimus Prime with Apex! The post New Stock Images of Titans Return Leader Class Blaster and Powermaster Optimus Prime appeared first on Transformer World 2005 - TFW2005.COM. 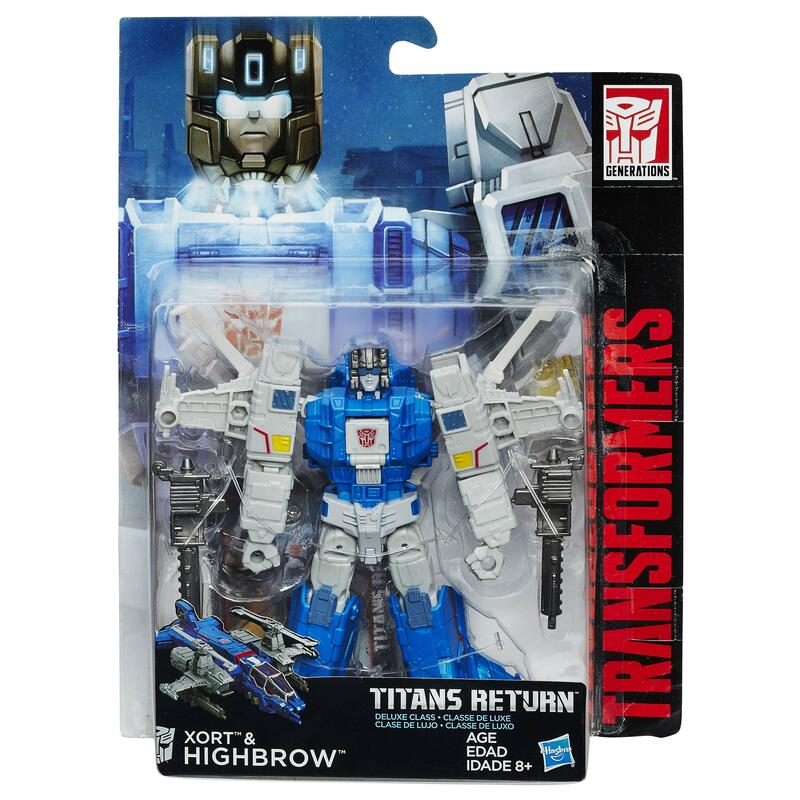 The post New stock photos of Titans Return Titan Masters wave 1 appeared first on Transformer World 2005 - TFW2005.COM. The post Titans Return Deluxe Wave 1 and 2 In-Package Photos appeared first on Transformer World 2005 - TFW2005.COM. Thanks to Brazilian toy website Hobbybrinquedos.com, we have a look at the upcoming Titans Return Legends Laserbeak figure! This repaint of Combiner Wars Buzzsaw will be a part of Wave 2 of the Titan Wars Legends along with Rumble and Ravage to help round out your Leader Soundwave squad of minions! Check out the image after the break! 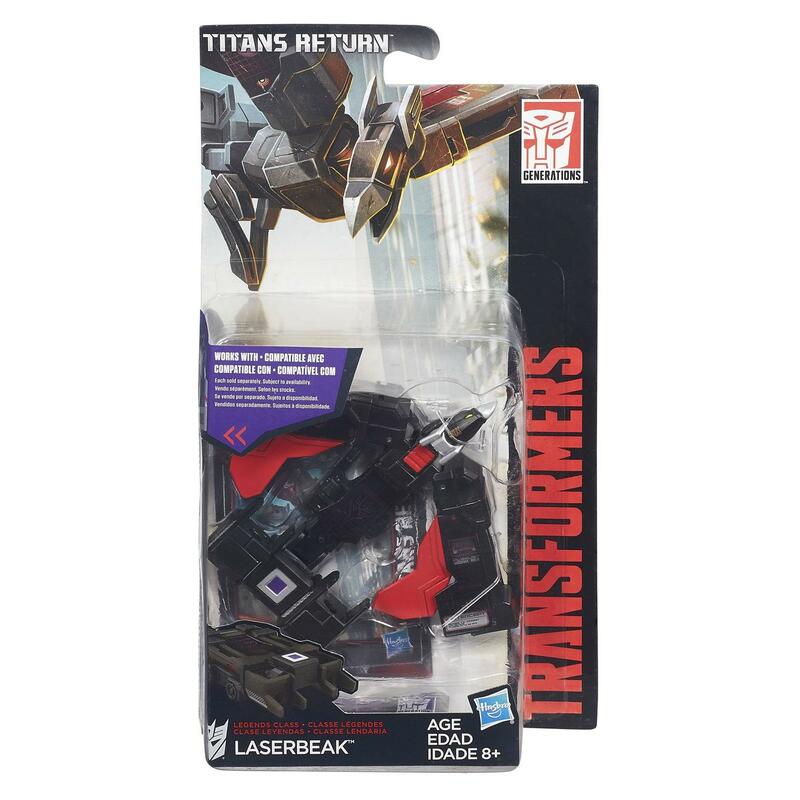 The post Titans Return Laserbeak in Package appeared first on Transformer World 2005 - TFW2005.COM. In addition to Fort Max, we also have some new stock photography of Titans Return Voyager Galvatron, displaying him in all three of his modes – robot, cannon, and jet. Plus, this gives us a look at his packaging and collector’s card. These images come to us courtesy of Distribuidora de Brinquedos Hobby. We’ve attached the pics for you to check out after the break! 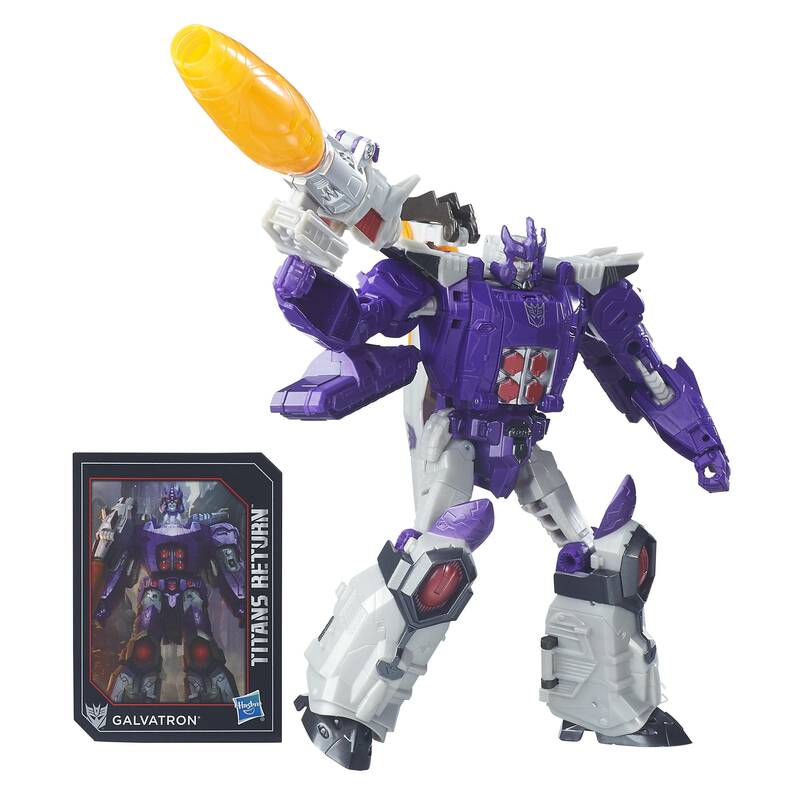 The post New Titans Return Voyager Galvatron Stock Photos appeared first on Transformer World 2005 - TFW2005.COM. 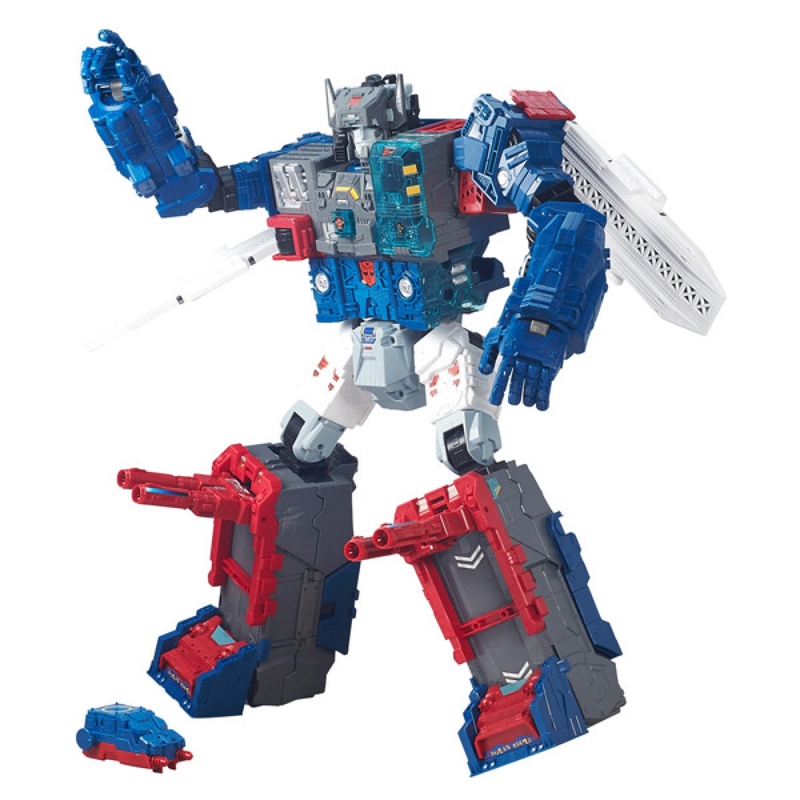 Via Mejor Juguete del Año we’ve got a look at some new Hasbro stock images for Titans Return Fortress Maximus. The king is coming to take back his crown – this new Fortress Maximus might well be about to claim the title of tallest Transformer ever made! Like the original Fortress Maximus, he transforms from his gargantuan robot mode into dreadnought class space battlecruiser mode, and then into a fortress mode. 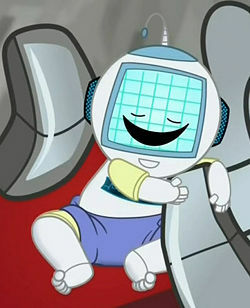 The head can transform into a smaller robot, and that smaller robot’s head can unplug and transform in its own right. Fortress Maximus is back, and » Continue Reading. The post Titans Return Fortress Maximus new official images appeared first on Transformer World 2005 - TFW2005.COM. Via this post on Actoys, we have a look at a Generation Toy version of the Generation 1 Autobot Jazz. This unofficial Jazz looks like it takes a few cues from the excellent Hasbro Generations Jazz, but judging by the screw holes and the articulated fingers, he could well be scaled to fill in for a Masterpiece Jazz. Check out the new image attached to this story. 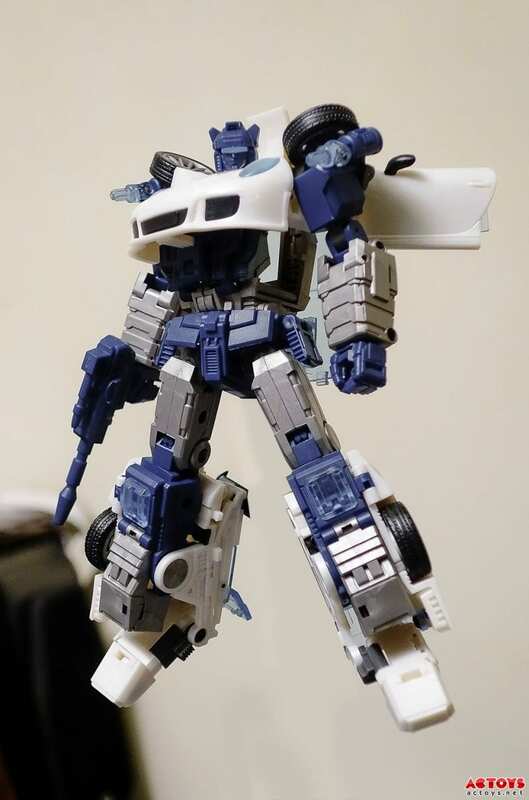 The post Generation Toy Jazz Prototype Image appeared first on Transformer World 2005 - TFW2005.COM. Good folks from SpaceApe Games have sent us a new Character Spotlight for Transformers: Earth Wars. “She’s a master with the blade, ready to take down any Decepticons who get in her way. Watch WINDBLADE in action!” Transformers: Earth Wars is a real-time combat strategy mobile game, coming to Android and iOS later this Spring. Visit the official Transformers Earth Wars site to pre-register! You can checkout the spotlight video, after the jump. 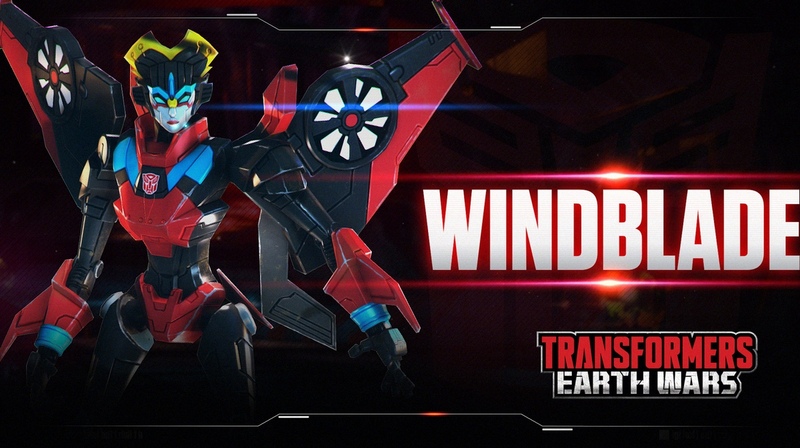 The post Transformers: Earth Wars Character Spotlight – Windblade appeared first on Transformer World 2005 - TFW2005.COM. Thanks to the Planet Iacon Facebook page, we have some new images of Takara’s upcoming Legends takes on the Titans Return line. 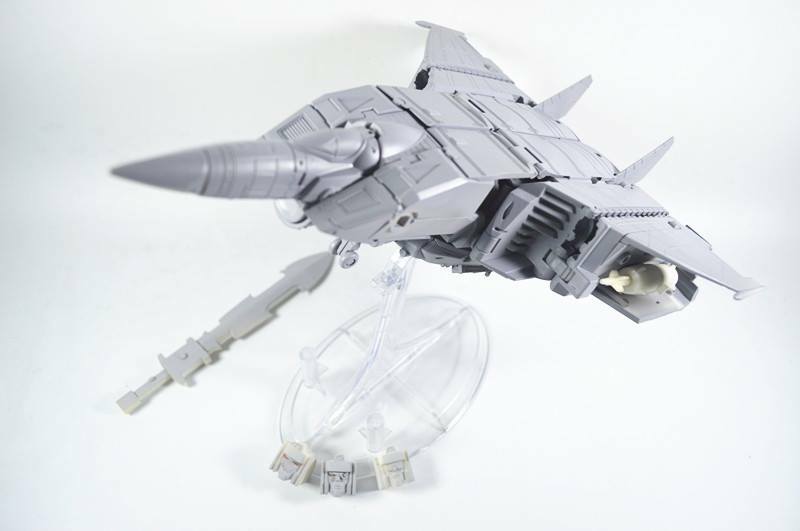 The pics include a Blaster prototype (under the Japanese name Broadcast), and black and white images of Rewind and Nightbeat, Wheelie and Goshooter, Weirdwolf, and the highly anticipated LG-31 Fortress Maximus! However, Fort Max’s sword remains to be seen, so that’s a bit of news to keep an eye out for. Check out the pics after the jump, and head over to the discussion to share your thoughts! The post New Images of Takara Legends 27-31 appeared first on Transformer World 2005 - TFW2005.COM.